Let’s face it, the weather on the Yorkshire Coast is pretty unpredictable whatever time of year you go. We often go during October half term and we’ve experienced heatwaves through to freezing temperatures. The Sea Life Centre is a popular family tourist destination, housing many endangered aquatic species such as sharks and rays which can be viewed in large glass tanks. It’s pricey but if you take proof of DLA, carers go free. Check out 241 vouchers too. Book online in advance and tickets are cheaper. The Sealife Centre occasionally runs autism-friendly sessions so it’s worth checking when those are running too. 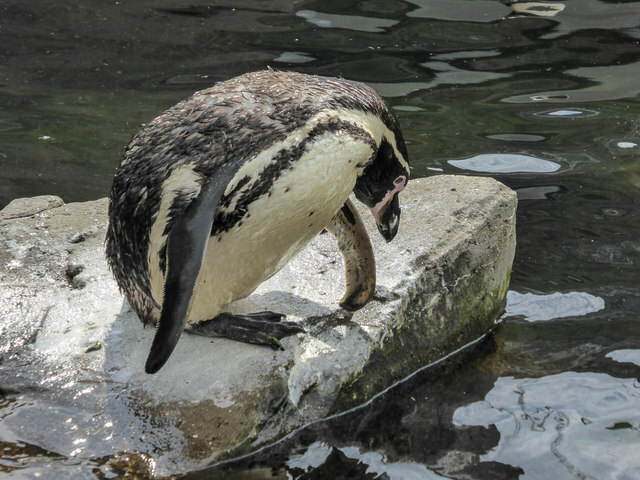 Make a day of it by taking the North Bay Railway from Peasholm Park to the Sealife Centre. Tickets are £4 return for adults and £3 for children. Max Card holders can get a 20% discount for up to 4 people. 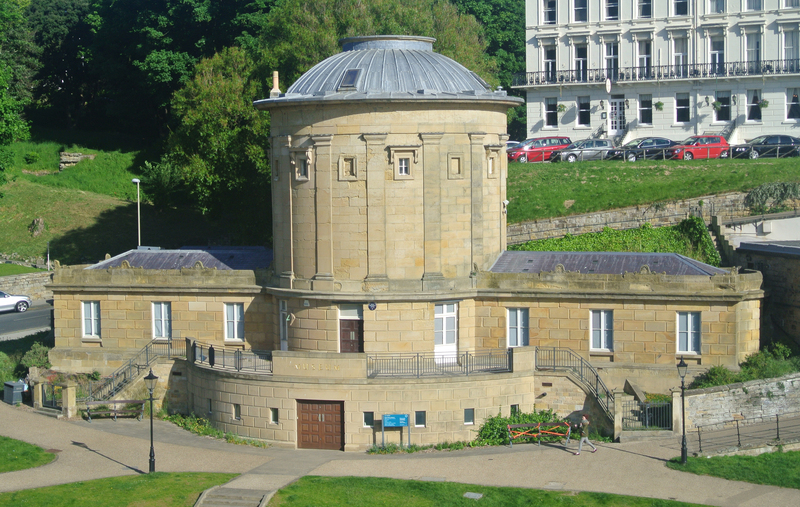 One of the oldest purpose-built museums still in use in the UK, the Rotunda Museum dates back to 1829. It’s full of fascinating objects, from fossils found on East Yorkshire’s Dinosaur Coast to Gristhorpe Man, the skeleton and coffin of a Bronze Age man, which is the best example of a tree burial in Britain. During the holidays, it organises family activities such as fossil handling and drawing as well as finding out about dinosaur footprints. It also runs a weekly TriceraTOTs class. 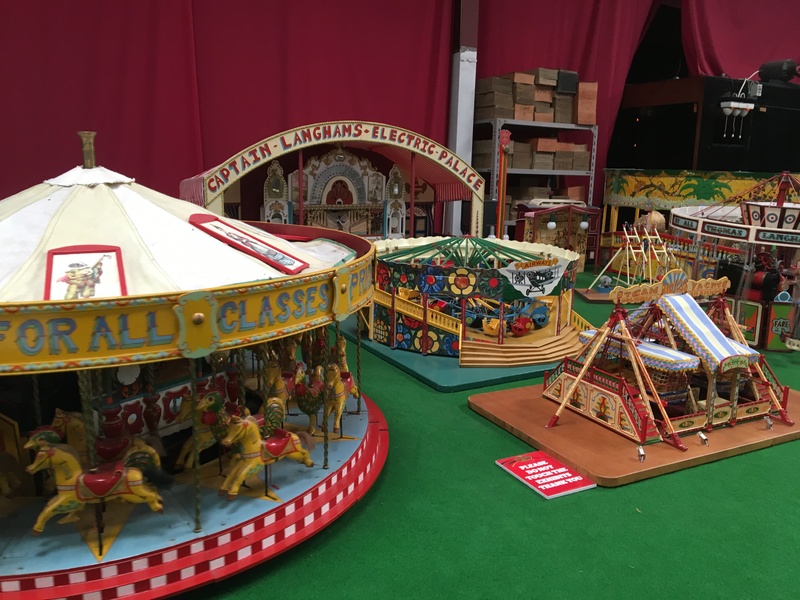 The Scarborough Fair Collection hosts a magnificent working collection of vintage cars, steam engines, vintage fairground rides and mechanical organs topped off with a ‘Mighty’ wurlitzer organ in its ballroom. During a recent visit, The Bears loved going on all the rides and also spent a lengthy amount of time watching themselves in the fairground mirrors. The attraction is open to visitors from the end of March to the beginning of November, Wednesday to Sunday from 10am to 4pm. It is also open on Bank Holiday Mondays. Check the website for exact opening times if you’re planning a visit. 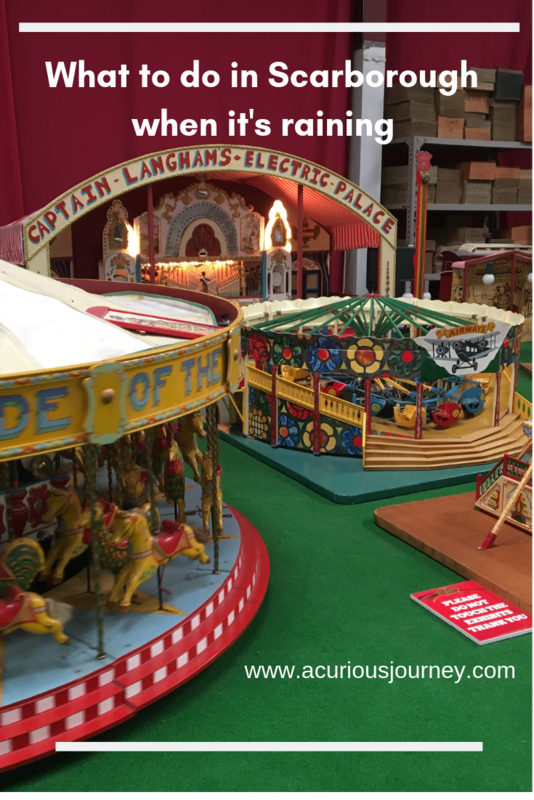 It’s a bit pricey – we paid £19 for one adult, one child and a senior citizen (under 5s are free) and the rides are £1 per person per ride on top of that. Also, there are signs on a lot of the exhibits that say ‘please do not touch’. However, it was worth it to see the Bear’s excitement. It’s a contained safe space that wasn’t too busy when we were there and we had two and a half hours of good old fashioned fun. The kids also get a free ice lolly on the way out. Combine lunch and an activity at The Plough Inn pub. Upstairs is a soft play area where the kids can wear themselves out while you sit with a cuppa. There are three sections for different ages. Although it was busy when we were there it wasn’t too manic. 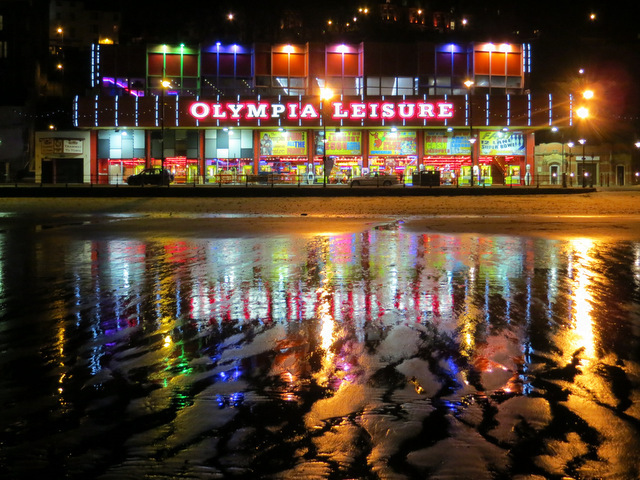 Olympia Leisure, on Scarborough seafront, has a 12 lane bowling alley above the arcade. Great for diving into when the weather takes a turn for the worse while you’re on the beach. 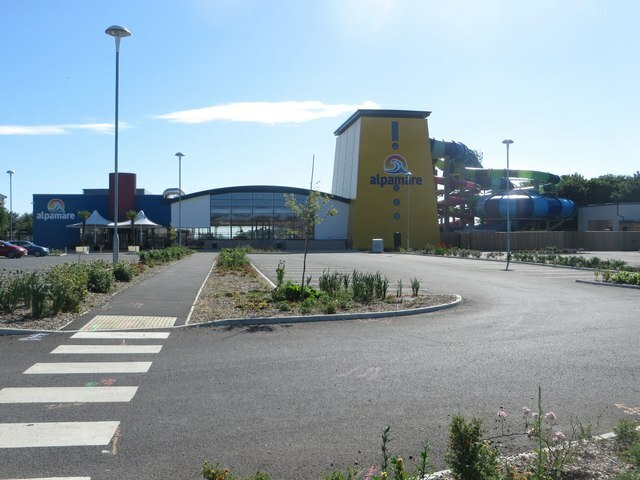 There is an indoor pool at Scarborough Sports Village but if you’re looking for adrenaline-fuelled family fun, check out the town’s new waterpark. For the main waterslides, children must be at least six years old and 110cm tall – check out the website for details. There is a younger children’s area and three pools including a heated outdoor pool. It’s not cheap – £20 for an adult and £16 for a child – but under sixes get in for free. There is a 10 per cent discount for Max Card holders. Park near the Central Tramway above the Olympia Leisure Complex and take the cliff lift down to the seafront. 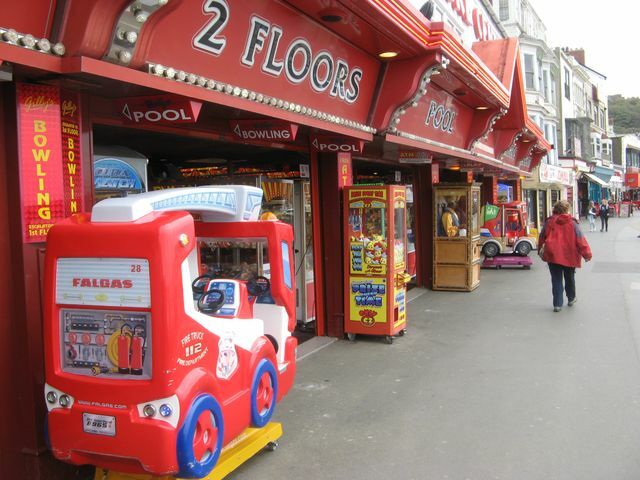 If 2p machines are your thing you could set a budget and spend a happy hour or so arcade-hopping down the seafront. Playdale Farm Park on the outskirts of Scarborough has the best of both worlds: an outdoor farm and play area plus an indoor soft play area to escape the worst of the weather. It’s open from Easter to October half term and costs around £7 per person. Under 2s are free. 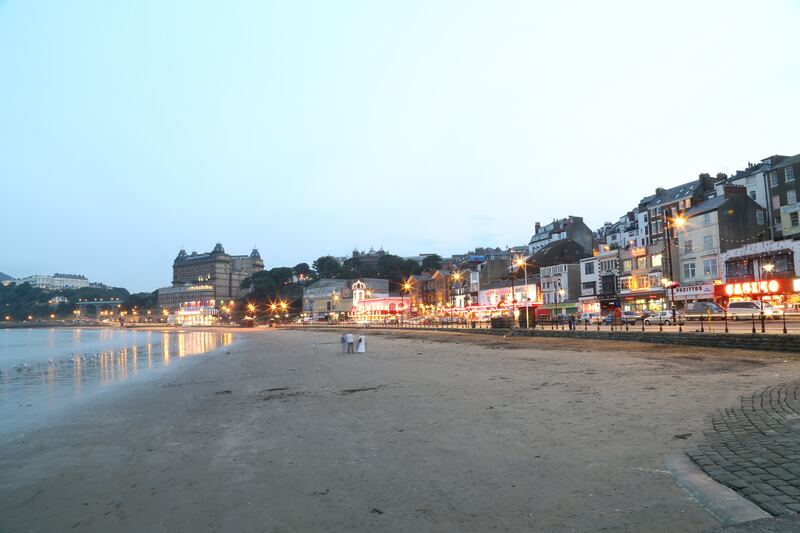 What are your top tips for a rainy day in Scarborough with the kids? Let me know in the comments below. If you enjoyed this article, please share using the buttons below.